Bufftech New Lexington Vinyl Fence Sections - S-Curve Top Rail | Hoover Fence Co. The New Lexington "S" Curve style fence section features 11-3/8" wide "V" groove pickets with tongue and groove edges so one board fits inside the other providing total privacy. The "V" grooves give the appearance of many narrow pickets while making assembly much easier with the wide pickets. This fence section is made to work as a 'transition' panel for the New Lexington style fence. The panel joins a 6' high section with a 4' high section beautifully with a gentle curve. Section includes rails and pickets. Posts and post caps sold separately. Note: This style is new for 2010. It will not match Lexington "S" Curve style manufactured before 2010. The height of the fence was increased to a full 6' high where it's earlier version measured 68" high. 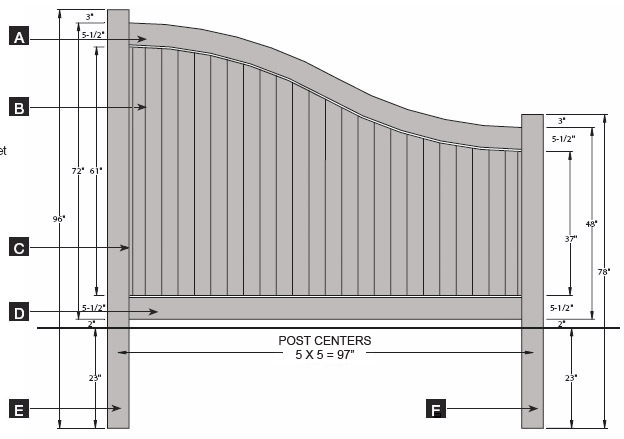 Classic Curved Rails: "Classic Curved Deco Rails" are featured on most tongue and groove privacy fence styles. 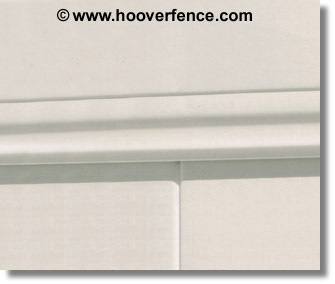 These rails have the distinctive look of decorative crown molding. The larger molding offers a sharp detail and classic styling that cannot be found in any other privacy rail on the market. 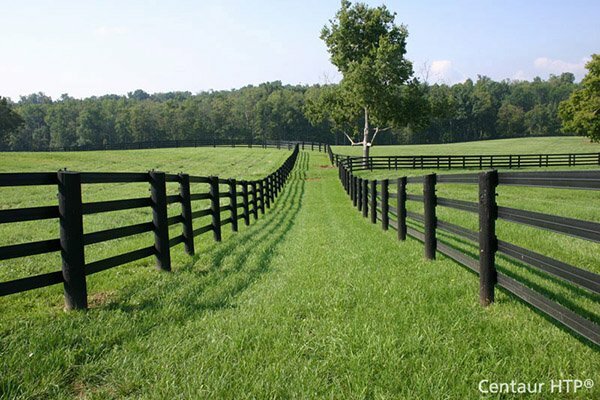 The Lexington fence sections and transition sections both utilize these decorative rails. Notes: Fence section includes A, B, C, and D. Post and caps sold separately. Curved rail pre-cut for 8' panel. Pickets must be field cut. Post for S Curve is standard Chesterfield post.